The Council undertakes an annual residents survey to seek feedback on what residents think of Council services such as water supply, roads, and rubbish and recycling collection. To get a better response from our younger residents, this year the Council supplemented its regular telephone survey with an online option. The Council hired Versus Research to conduct this year’s survey. A total of 447 randomly-chosen residents were interviewed, using a quota system to ensure participants were representative of the age, gender and population of the district. Of these, 67 people completed the survey online. A summary of the results of the 2016 Survey [PDF, 1692 KB] is provided below. The number of people who agreed that Selwyn is “a great place to live” increased from 90% to 94%. 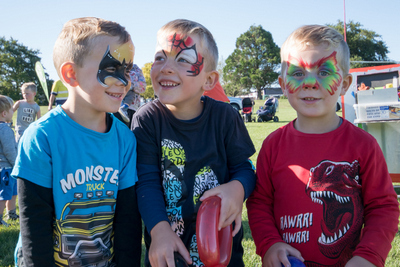 Respondents continue to highlight the good atmosphere and environment, good community spirit and friendly people, accessibility to urban services, and good facilities and amenities available in Selwyn. 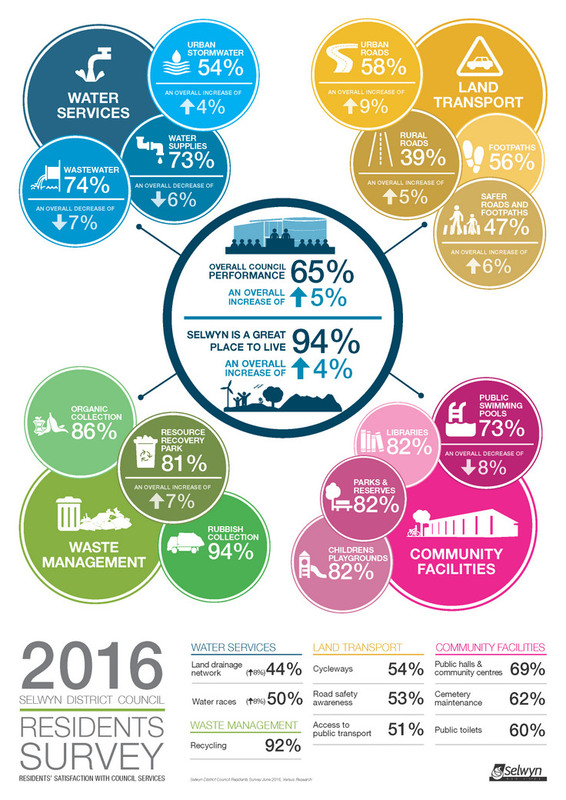 The proportion of residents who rated the council’s overall performance as good or very good increased over the past year from 60% to 65%. Waste management remains the highest rated service. Rubbish collection was rated good or very good by 94% (up by 1%) of residents while recycling collection was rated good or very good by 92% (down by 2%) of residents who receive the service. Other highly rated services included organic collection (86% rated good/very good – with no change from last year ), parks and reserves (82% – down by 1%), public libraries (82% – down by 1%), children’s playgrounds (82% – no change), and the resource recovery park (81% – up by 7%). Lower-rated services included rural roads (39% – up by 5%), land drainage networks (44% ­– up by 8%) and ensuring new growth areas are developed in the best way (45% – down 1%).